When high dollar amounts are at stake in a claim for insurance coverage, a lawyer’s careful and painstaking review of the policy in question may provide critically needed understanding. The contractual terms of any insurance policy are typically complex and detailed, and people often misinterpret common vocabulary as it is used in insurance policies. The complexity of word choices, exceptions and conditions — even grammatical structures — can be of great consequence. Precise definitions of specific words used in insurance policy contracts have been the subject of legal precedents in prior cases brought before courts. Questions over whether a particular event or loss is covered under policy terms.Often, an insurance company asserts that a loss is not covered, and the policyholder’s only recourse is to obtain a legal opinion regarding what the contract actually says. Disagreements over the amount to be reimbursed for a covered loss. When costs of a building, a piece of equipment or medical treatment are duly considered, is the insurance company paying enough to cover all damage and required remediation? Will the damaged building, vehicle or equipment be restored as nearly as possible to pre-loss status? Reviewing insurance policies and rendering knowledgeable opinions. Filing lawsuits when appropriate — an expensive endeavor most often done in high-stakes, challenging cases. When interpreting, examining, and paying out claims, all insurance companies are expected to act in good faith. It is considered unlawful for an insurance company to put its own financial interests above the financial interests of its client, or to underpay insurance claims. However, the denial of legitimate and genuine claims by insurers appears to be on the rise. Unfortunately, there have been numerous cases in which an insurance company simply refuses to cover a claim because it is primarily concerned with its own profit margin. Is it a Bad Faith Insurance Claim? Laws and legal precedents concerning fair dealing and “good faith insurance claims” versus “bad faith insurance claims” decisions and actions on the part of insurance companies are a key source of support for individuals and businesses engaged in insurance disputes. Insurance Dispute in Austin? Contact John McDuff. 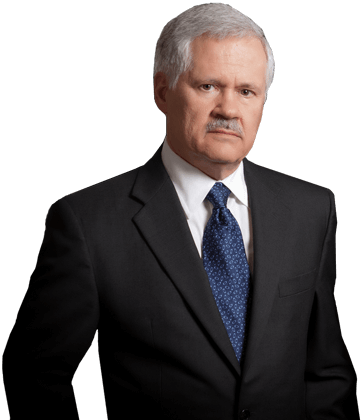 I am business attorney, John McDuff and I know how to protect your rights. With over 20 years of experience practicing law in Texas, I am prepared to help you obtain the insurance benefits to which you are entitled. When an insurer balks, reneges or shortchanges you on benefits, I will defend you. I work with my clients to pursue the best attainable outcome, and I pride myself on providing personal service. I am available to clients 24/7/365, and accept night and weekend appointments. I serve clients in Austin, Travis County and Central Texas. Call 512-457-1177 to schedule an appointment.